Trade frictions between China and the United States will not cause a sharp rise in the price of soybeans-a major agricultural import for China-or their products in the domestic market, according to experts. China announced in June that it would levy an additional 25 percent tariff on 659 goods worth $50 billion from the US-including agricultural products such as soybeans, pork and beef-in response to the US imposition of tariffs on $50 billion of Chinese goods. The measures took effect on July 6. Soybeans are a major agricultural import for China. 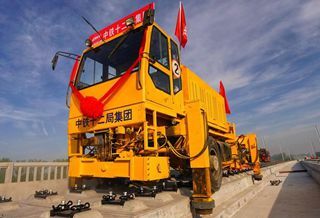 Last year, it imported more than 95 million metric tons, with a total value of nearly $40 billion-more than 30 percent of China's total agricultural imports. Last year, Brazil and the US accounted for 53 percent and 34 percent respectively of the soybeans exported to China, according to the General Administration of Customs. 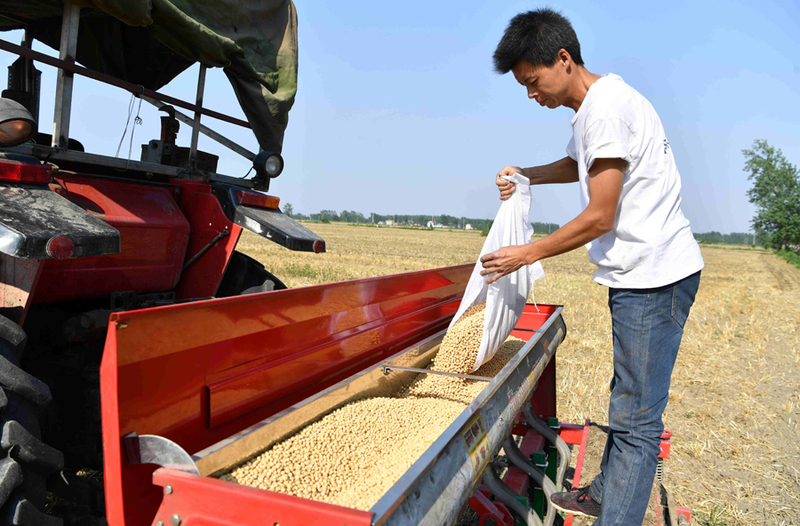 Zhong Funing, an agricultural economy professor at Nanjing Agricultural University, in Nanjing, Jiangsu province, said the measures would undoubtedly push up prices in the short term for soybeans and their products, such as soybean oil and pork, but not to a great extent. Soybeans are a source of pig feed. "China's soybean imports from the US have been decreasing over the past few years, despite an increase in the total amount of soybeans imported," he said. China relied on the US for 80 percent of its soybean imports two decades ago, but it has cut that more than in half because of increased imports from other countries, including Brazil, he said. "The global supply of soybeans is experiencing a surplus, and China should not worry that it cannot import soybeans from the US," Zhong said. In the long run, the price of soybeans may be affected by many factors, such as possible changes in China-US trade relations, and are hard to predict, he said. Yin Ruifeng, a senior soybean market analyst at the Ministry of Agriculture and Rural Affairs, said that with rising demand for edible vegetable oil, and meat and dairy products, demand for soybeans in China has continued to rise. Tariffs will not cause a noticeable price increase for soybean oil sold in China-a major product made from imported soybeans-as it is easier to find alternatives and there is a global surplus of raw materials for edible oils, Yin said. Because of the rise in the price in soybeans imported from the US, the price of soybeans imported from other countries may also increase, she said. This may cause price increases for soybean meal-a major product of soybeans used as animal feed in China-which may push up the price of pork, a major meat consumed in the country, she said. Some pig farmers are planning to use less soybean meal as feed and find alternatives, such as the remnants of rapeseeds or cotton seeds after oil extraction, as well as bone powder, to reduce the impact of any price increase or shortage of soybean meal, Yin said. Trade frictions between China and the US have not greatly impacted agricultural prices in China yet, Mao Shengyong, spokesman for the National Bureau of Statistics, said at a news conference on Monday. But prices of imported soybeans may rise, and products related to soybeans, such as pork, eggs and edible oil may increase, he said.